Members of the First Assistance Samaritan Team (FAST) installed water filters in Haiti after Hurrican "Matthew" that struck the country in fall 2016. 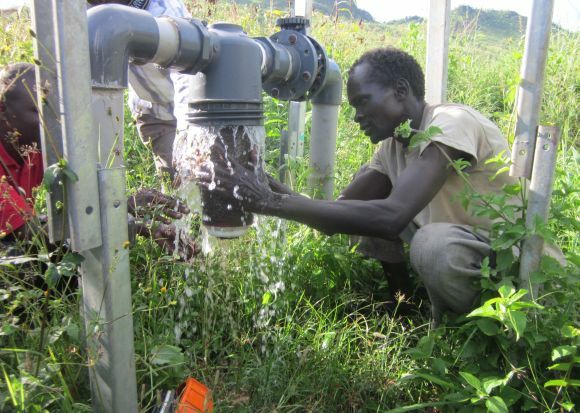 The filters are helping to prevent cholera and other life-threatening diseases. Safe drinking water is one of the main focusses of ASB relief projects. The First Assistance Samaritan Team (FAST) is registered at the World Health Organisation (WHO) as an EMT1 and can assure basic medical care after disasters. In disasterprone areas such as Indonesia and the Philippines, ASB is working to teach the inhabitants how to prepare for natural disasters. All those projects have a special focus on persons with disabilities. Everybody can leran, how to safe themselves and others in case of a natural disaster. Thus, trainings and regular drills for children and adults are an important part of ASB's engagement in disaster risk reduction. Restauring and installing wells in Niger assures drinking water for nomad families and their animals. In Central America, large droughts endanger the lives especially of young children. ASB is supporting nutrition centers and helping the families in the rural areas to survive.